First of all we would like to thank the members of the Swami Army for taking time out of their schedule and talking to us. It is impossible to miss them if you watch any India match. They turn the match atmosphere into that of a carnival and ensure that there are no dull moments in the matches for the fans present at the ground and the ones viewing on TV. 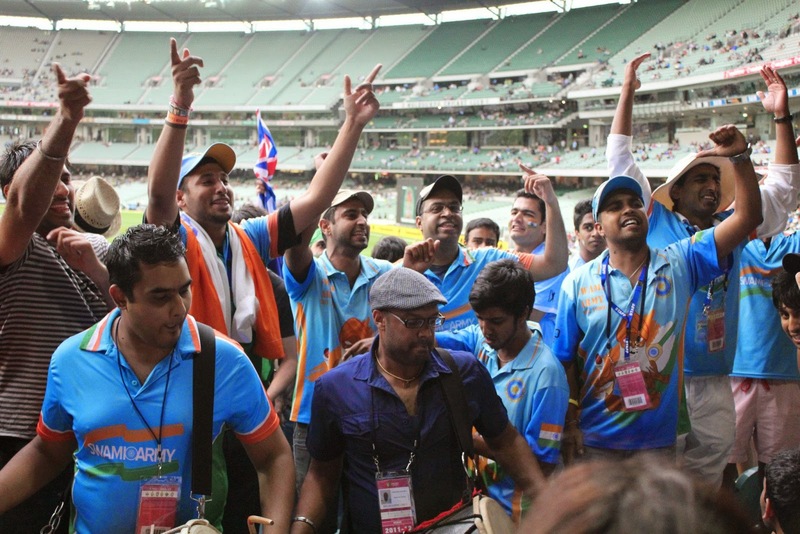 DieHard Cricket Fans spoke to them about their inception, activities, planning and much more. When and how did Swami Army come about? The Swami Army was formed during India’s tour to Australia in Season 2003/04 by a group of 10 die-hard Indian cricket supporters, using the Swami Army moniker as a bit of fun while following their beloved Indian team around Australia in that season. The tour was significant in that it was Steve Waugh’s final Test series, but also represented the start of India’s climb to the top of the Test rankings. As the crowds flocked to the grounds to watch India come close to beating Australia in the Test Series decider in Sydney 2004, the Swami Army grew from its core group of 10 supporters to a large gathering occupying Bay 26 of the SCG. Since then, the Swami Army have gone from strength to strength. With nearly 5,000 members across the globe, we are recognised by cricket authorities as the leading Indian cricket supporter group, with a presence at every Team India match. We continue to work with cricket boards to ensure that the Swami Army has Designated Areas at cricket grounds worldwide to enhance the viewing experience of all cricket supporters at cricket grounds in an enjoyable, family-friendly environment, dhol player and all! What was the thought behind forming the Swami Army? The thought behind the Swami Army is to build the largest, organised group of supporters of the Indian cricket team with the aim at helping cricket fans worldwide watch Team India play the great game of cricket. 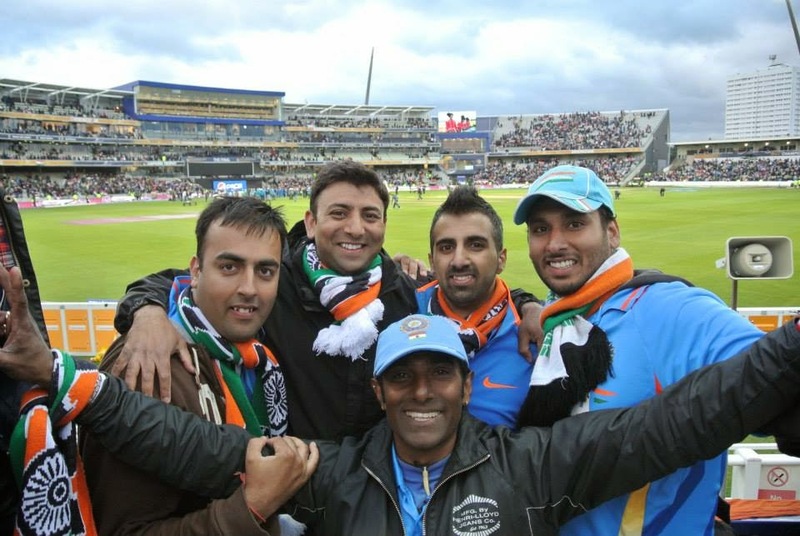 The Swami Army brings together a wide community, as you know the Indian community is often very fractured, and aims to bring them together with the love of cricket. As well as obviously provide a Sub-continental carnival style atmosphere to games, to provide Team India with the support they would usually receive at home, even while they are touring. How much planning goes into preparing for a match/tour? What are your preparations for tours ? And how do you guys manage work and finances ? A lot of planning goes into preparing for a tour. Asides from working with the various cricket boards to get priority seating for our members, the core group of Tour Coordinators work towards arranging Dhol players to play at the games, as well as work on songs and chants to support team India. It is not possible for all of us to attend all of Team India's tours across the globe, due to work commitments, we try and split up tours between the core members. We usually take leave when we can from our jobs to go on tours. How do you counter other armies like Barmy army and Stani army when there is a face off ? Generally, there is a lot of banter between rival supporter groups, but never malicious. We are well aware of the other groups such as the Barmy Army, Stani Army and The Beige Brigade, and usually have friendly jibes, songs, or chants for each other at games. At the end of the days play, we all know its just fun and games and can have a laugh with each other. Are there any specific trademark routines/songs that have become part of the Swami Army culture? There are a few trademark chants and songs that have become of the Swami Army culture, namely our own rendition of "Kolaveri Di" , in which we have tweaked the lyrics to suit the cricket field. Does the Army organize any special events when the matches are not going on? We organise pre-parties or after-parties for matches, in which our members can interact in a social setting, and not a cricketing one. Generally, these events are there to blow off some steam, especially on long Test tours, though they usually end up in a lot of cricket talk anyway. How can people join Swami Army? It is very easy to join the Swami Army, anyone can become a member by visiting www.swamiarmy.com. Membership is free and gives you access to our designated seating for games, merchandise, blogs, and podcasts. How do you design or come up with their group T-shirts/logos/flags etc? In the past we have had members submit designs for our T-shirts, and had them made. Currently, our merchandise - which includes Jerseys and Caps - contains our Swami Army logo, which has been designed by some of the founding members. Why should we ape the West and have names to rhyme with Barmy army ? The name "Swami Army" was actually a term that was coined by the Australian media to describe the Indian fans who were traveling around Australia in 2003/04, as the Barmy Army had toured the previous summer. The name has just stuck, and it is easier to go with it, rather than fight it. With a huge country like India with several zones and teams and now the IPL loyalties, how does the army maintain unity? The Swami Army maintains loyalty, because national pride outweighs zonal and franchise loyalties. Besides that, many of our members are based outside India, therefore cricket and Team India provide many expats a vessel in which to display their national pride, and love for the game of cricket. How do you guys celebrate an Indian win after the match? 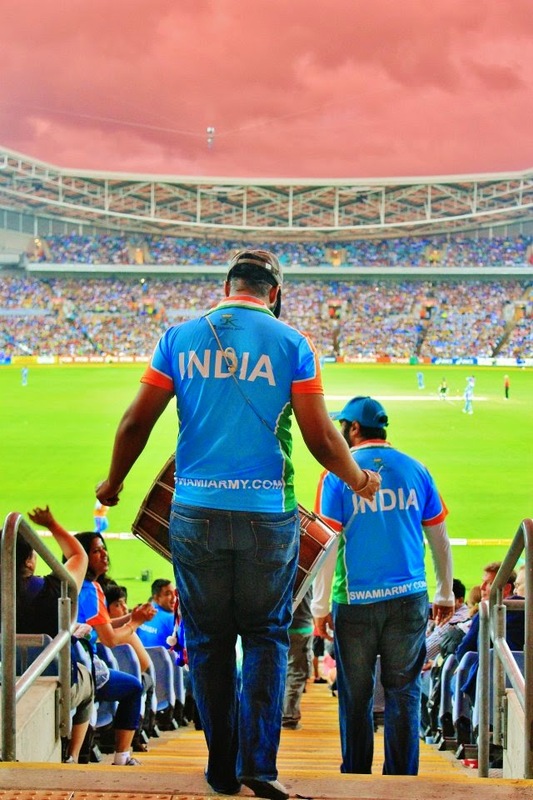 The Swami Army usually celebrate an Indian victory, and sometimes even a loss, by continuing to sing and dance to the sound of the dhol around and outside the grounds. After that, those who wish, usually meet up for a drink at our after parties. The end of 2014 going on to 2015 is a very exciting time for us as Swami Army members and Indian fans. After a disappointing (in the cricket sense), yet extremely fun tour of New Zealand earlier this year, we are currently in the planning stage of India's Test and limited overs tour to Australia, followed by the 2015 Cricket World Cup. Response has been incredible for the World Cup, with Indian Supporter Zones selling out within minutes for a few of the high profile games. Mankading & "Spirit of Cricket"